Matt Cannon is a wonderful realtor. He was patient, kind, understanding, thoughtful and very knowledgeable about the real estate business. He kept us up-to-date and answered all of our questions. Matt went above and beyond in helping us purchase our new house. This is our 4th home purchase and he is the best realtor we've ever worked with. We highly recommend Matt Cannon as he is an excellent real estate agent. I had an awesome house sale! Matt took care of everything for me because I live in NY and he sold my parents Florida house. Highly recommend them as the house sale went smoothly. When my husband passed away in August of 2017, I was thrown into a situation with so many decisions to make. One of those decisions was whether of not to sell my house. With the help of my family, I realized I could not keep up the pool, yard work and other issues facing homeowners. Matt and Jenny were referred to me. I connected with them from our first meeting. They were everything you would want in a realtor from start to finish. I was very happy with their negotiating skills to staging skills to sell my house. They are good people who know their business. My house sold within days. - Mark and Laura B. Loved working with Matt. The knowledge and expertise was hands down the best! His negotiation skills were spot on and were able to win our dream home in a bidding war. He shows passion and still cares after the transaction. Those realtors are hard to find. - Steve and Mandy P.
We want to send you a “note of thanks” and let you know how helpful you were. We would have never dreamt of purchasing property as soon as we did without your expertise and professionalism. Your caring impressed us enough that we trusted your opinions and thoughts. Before we knew it, we were flying down to meet you and to purchase the property you recommended. Not only did we purchase exactly what we were looking for, we also gained a friend. The closing transaction was simple and friendly. We have highly recommended your services to others and will continue to do so. I have currently contacted Matt. His response was in 15 minutes. I want him to be my buyers broker for a condo with specific criteria, which we are currently working on. We wanted to send a short note expressing our utmost gratitude for all the help we received from our agent Matt Cannon in regards to the purchase of our home in Sarasota. We are not sure if we will keep or renovate this home and put it back on the market and then purchase a another one, but be sure that we will be using Michael Saunders in any of our future real estate deals. - John B. & Marie K.
Happy with Matt and our purchase! Negotiations were honest and effective. Would not hesitate to do business with Matt in the future. Can recommend him for your buying needs. We wanted to write this note to express to you what a pleasure it was having Matt Cannon as our realtor. We were not the easiest customers and Matt never gave up on us. He worked so hard to help us with any request or question we threw at him (and there were many!). We just want you to know how much we valued him and your company is lucky to have him. - Louis and Alicia G.
Our agent, Matt Cannon, not only guided us through every step of the process but did so with enthusiasm and obvious commitment to your company. In many cases, he has gone above and beyond for my husband and I for which we will always be grateful. From the moment we contacted Matt, we knew that we would find the home in Sarasota that will eventually become our forever home. We feel so fortunate to have worked with Matt and Michael Saunders & Company and appreciate the excellence in customer service that you provide. It truly has been a pleasure. - Dawn & Levent B. When purchasing a home through a builder, Matt met with us right away and explained the entire process from start to finish. Matt is very professional and knowledgeable realtor. We turned to Matt & Jenny to sell our parent's home.They had it under contract in 3 days and closed with in 30 days! Super Team!! 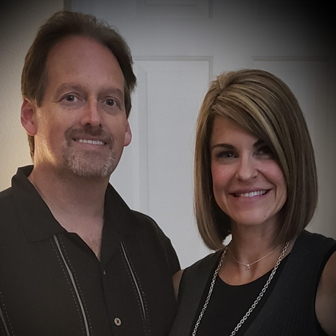 - David and Lisa B.
Matt and Jenny have been the ultimate realtors with their professionalism as well as being very personable. They have a good handle on property values and the wants and needs of the client. They went out of their way to accommodate us with buying our condo in Bradenton. We were conducting business from 1,000 miles away and Matt and Jenny went above and beyond with taking care of things for us. From taking care of movers to providing names and numbers of contractors, they were there. We also had some difficulties with our lending institution but Matt, Jenny, and Michael Saunders Group stepped in to take care of that as well. I would highly recommend Matt and Jenny Cannon and Michael Saunders to anyone looking for real estate in the area. On Maggie's and my behalf, I wanted to express our gratitude to you for helping us with the sale of our home. As you know this was our dream home and we have put our hearts in decorating it. Your personal involvement has made this a one of a kind experience and we feel extremely privileged to have you in our life. We appreciate the fact that you took care of us and our home as it were your own and therefore it was not just about making a sale but about what it should be - truly understanding the emotional attachment and caring for the client. We look forward to having the opportunity to work together in the future and we feel we have a friend for life. - Marcin & Maggie M.
We just recently closed on our Florida vacation home and I wanted to drop you a line about our agent Matt Cannon. I just can’t say enough about Matt’s effort in getting our home sold. We had worked with two other agencies without success but once we started working with Matt, we knew he was going to get our home sold. Our home in Palmetto wasn’t a high dollar property but Matt treated my wife and I like it was million-dollar listing. Since we live in Indiana we asked Matt to do a lot of extra things to keep the house looking and smelling good in our absence. He never complained and we could always count on him to check on our house; he even helped us move some furniture. We are in the process of building a new home in Florida and we won’t hesitate to recommend Matt Cannon and Michael Saunders & Company to our friends in Florida and Indiana. In closing you have one outstanding employee in Matt Cannon. - Dirk and Pam H.
Amazing! Can't say enough great things about Matt and Jenny! My wife and I worked directly with Matt and he was always available, he was quick to respond to e-mails, and he always went way beyond our expectations for a "realtor"! We had a renovation-loan and randomly found Matt on Zillow. We had never met Matt before but when we met him it felt like we had been friends for years. Matt went above and beyond, helping us e-mail and call everyone and he advocated for us as the buyers and always over achieved and went beyond our expectations! He also helped close the deal and knew what they were talking about. If you are looking for a realtor you won't find a better one than Matt & Jenny! I would highly recommend Matt. He did an excellent job for us and was very pleasant. His experience and skill made the sale and transition very smooth. Our Realtor, Matt Cannon was a pleasure to work with. He worked so hard to help us with any request or question. We want you to know how much we valued him and your company is lucky to have him. We chose Matt as our buyer’s agent after meeting multiples other agents at open houses and finding his calm and professional (never pushy) approach a perfect match for our style. Matt was always extremely responsive, and knowledgeable, helping us to navigate a relatively unknown area and narrowing down our search parameters. Matt didn’t get frustrated when we altered those parameters and was quick to rework search needs and provide new options when required. Matt gave great guidance when negotiating on price but also listened and worked with us on our offers. Matt helped us get multiple contractor quotes for work needed and represented us when we needed to walk through and assess remotely. We would definitely recommend Matt and Jenny Cannon as a partnership that you can put your trust in to work hard to find the right home for you. - Mike and Janet C.
We chose Matt as our buyers agent after meeting multiples other agents at open houses and finding his calm and professional (never pushy) approach a perfect match for our style. Matt was always extremely responsive, and knowledgeable, helping us to navigate a relatively unknown area and narrowing down our search parameters.Matt didn’t get frustrated when we altered those parameters and was quick to rework search needs and provide new options when required. Matt gave great guidance when negotiating on price but also listened and worked with us on our offers. Matt helped us get multiple contractor quotes for work needed and represented us when we needed to walk through and assess remotely. We would definitely recommend Matt and Jenny Cannon as a partnership that you can put your trust in to work hard to find the right home for you. We had a great experience with Matt. He was a breath of fresh air after the experience we had with our previous realtor. He was knowledgeable of the Sarasota/Bradenton area. As a first time home buyer, I was very comfortable with his know-how on the home buying process and which homes were at good prices. I never felt like Matt was trying to just make a sale (unlike some realtors I've met). Matt made sure we weren't going to get taken advantage of, even when we were getting frustrated with the whole process. Thanks Matt! Matt Cannon is the best to work with. He's very enthusiastic at what he's doing, you can ask him a lot of questions and he's always happy to find the answer for you and help you with whatever your concern is. I would recommend Matt to all the people I know when they are looking for a house. He did an excellent job assisting us in selling our investment house in Lakewood Ranch, Florida. He handled everything from preparing the house for sale, coordinating with the renter and my property manager (I live out of state), obtaining professional photographs, showcasing the home for prospective buyers and in relatively short order got the house sold for a price fairly close to our listing price. I would highly recommend Matt Cannon as a real estate agent and plan to use his services again going forward. Matt & Jenny are an absolute pleasure to work with and go out of their way to help in any way possible. We have now owned 2 houses and used them to buy both and sell our first. Matt & Jenny do an excellent job of giving you the information you need on the market and help you get what you want out of your house. They had our house sold before our professional photos could even be taken!! They were always available to us right away, to give us feedback, talk us through a step of the process, or just help calm our nerves. We cannot say enough wonderful things about Matt & Jenny. If you are buying or selling a house, you want to work with Matt & Jenny, you won't find anyone nicer, more knowledgeable, or better at their job! - Jon Michael and Megan E.
Matt is an incredible realtor. He really gets the job done unlike other realtors that I've encountered. He sold my property quickly and made sure I get daily reports from him about how things are going. I really appreciated how he cared from day one up to the signing of all the closing papers. This past spring, I decided to take advantage of the short sale and foreclosure market in Florida and purchase a condominium as a rental property. I was definitely bargain shopping so there was not going to be a huge commission involved for my realtor. My realtor here in Pennsylvania put me in touch with Matt Cannon of Michael Saunders. He has been absolutely delightful to work with. From the moment I contacted Matt and described what I was looking for, he began e-mailing me property listings, in order to refine my search. By the time I physically went down to Sarasota to look at properties, he knew exactly what I wanted and did not waste my time. We started looking Friday afternoon, and by noon on Saturday, we were writing a contract. I was able to spend the rest of my long weekend on the beach! I so appreciate Matt not wasting my time. But his work was just beginning. Banks can really drag their feet on short sales, and the seller’s bank certainly did that, and then some. Matt persevered and kept in regular touch with them and me. After settlement (which he handled for me = I did not fly down), he arranged with local contractors for cleaning and various repairs. He knew the right people for the job, and all I had to do was give my okay to proceed, and the jobs were done. Finally, Matt put me in touch with an excellent rental agent, and she was just as good to work with as Matt. My condominium now looks like new, and is occupied by new tenants. I am still amazed by how easy this process was and I can’t say enough about all of Matt’s hard work to make it so. I have already referred one friend to him, and I would enthusiastically recommend him to anyone looking for residential real estate in the Sarasota area. Smooth, professional management of the sale/acquisition. No problems in negotiation and handling of the deal. Provided help in dialog with association. Pleasant experience. Matt and Jenny are wonderful to work with. They truly are there to serve your needs to the fullest. They helped make the purchase of our home a smooth process. In addition, we laid out some guidelines with regard to what we were looking for, and they had several homes that fit our desires. In the event I need future real estate services, I will definitely contact them. I have had numerous real estate transactions in recent years, and those done with Matt have been superb. As an outsider, his knowledge of the local area (Sarasota/Bradenton) is priceless. His advice on neighborhoods, service providers, etc. is always right on target. Better yet, I trust him enough to handle the details, that I don't need to fly to Florida to handle closings, etc. I'm completely comfortable knowing that Matt has my back. Les and I could not leave Florida without thanking you for the excellent job you did to market and sell our home here in Panther Ridge. I knew of your excellent work ethic from our days together at Lee Wetherington Homes, and felt that no other realtor would give us better service and attention to detail than you did, succeeding in selling our home in the worst housing market for decades. You ran many open houses and were always available to us, returning calls quickly and in a constantly upbeat manner! Selling a home is always a stressful time and especially so in this market. Les and I would be happy to act as reference for you in the future. Thank you again for a job well done. - Leslie and AvrilLynne N.